What can the NCDev Ecosystem do for you? This platform to will keep you up-to-date with activities in the Tech and Entrepreneurship in the Northern Cape province. NCDev Women summit aims to give the women in Tech and Entrepreneurship a platform where they can execute their skills and learn more. Live by code: Tech meet-ups, codefests, hackathons, GeeksConnect and many dev sessions will get you up the game. Growth Network: We bring you a variety of opportunities for networking and connect with industry leaders for work and collaborative opportunities. A platform for all things ICT and Entrepreneurship scene in the Northern Cape. The ultimate goal of the NCDev Ecosystem is to build-up to an establishment of an mLab in the Northern Cape. 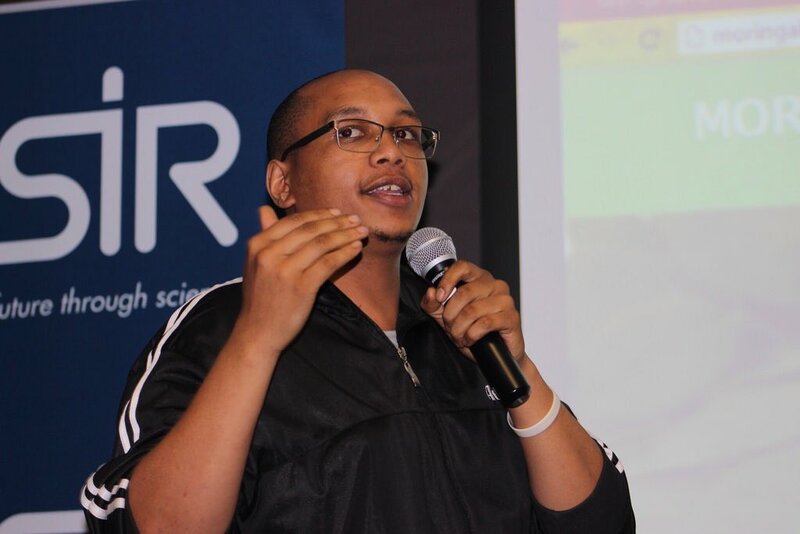 The platform extends Geekulcha activities to the Northern Cape for students, entrepreneurs, designers and community leaders to Connect, Learn, Share and Put Skills to real work. Vision: The Northern Cape must become one of the strong leaders in the ICT space in South Africa and be a home of Innovation, Adequate Skills Pool and drivers of the growing Tech-Enabled world. Mission: Establishing a highly active Developer/Maker Ecosystem in the Northern Cape for for a Smart and Inclusive Economy while realizing a socio-economical value. This platform to will keep you up-to-date with activities in the Tech and Entrepreneurship in the Northern Cape province. Shall take greater aim in skills development and gives an edge to outstanding individuals to showcase their skills and be exposed to the corporate world for work and collaborative opportunities. Grooming them young, the VacWork takes place in July every year. Annual hackathon to grow Developer/Maker momentum towards a smart and an inclusive province through Technology and Innovation. When Connected, Stay Protected. InfoSec skills development is part of the NCDev Ecosystem. Making skateboards smart and cool, the team integrate tech in skateboards, gather data and visualize. Social Community aimed at having offline Tech meetups and online engagements. Attracting and Empowering more women in the ICT sector for gender balance in all angles. Growing a Geek Cukture on campus through the Technology, Innovation and Leadership capacity building. Engineers Without Borders South Africa is setting out to reshape South Africa's engineering sector as a place where people. Since 2015, the NCDev Ecosystem has been driving the ICT and SME skills development in the Northern Cape province, we honor some of the outstanding ladies in the forefront of the digital narrative of the province. NAS - SPU Lecturer, She helps students get access to Tech platforms. Student Leader, EWB-SPU - An aspiring Data Scientist, Model and Dancer with a great interest in code and being one of the leading scientists. Student Learder, GKSS-SPU - Always ensured that her students are active on hackathons and championed the digital drive. Ultimate GeekStar, VacWork Mier - A learner from Prieska. One of the young up and coming industry in the province. A hackathon is an event where hardware and software developers collaborate intensively on software projects related to the internet of things. 42 young, talented individuals who want to develop their skills through learning and innovation, and who have a passion for Info Security, ML, AI, IoT and other new age technologies. NCDev Women Summit seeks to inspire, educate and connect girls and women to be highly active in Innovation, Entrepreneurship, Science and Technology. The Internaktional Open Data Day is an annual celebration of open data all over the world. Kimberley hosted the South Africa leg. With the SKA 64-dish construction complete, how will the data be useful in our everyday lives? How can we use open data to improve water management in Northern Cape cities and towns? The Geek Revolution being documented, exposing young tech talent and their skills on TV. Providing and making it possible for young Geeks in the country. Over 30 Hackathons! Ensuring that young Geeks connect, learn, share and put skills to real use. Chairperson | Maker/Developer - Manages all initiatives of NCDev Ecosystem, Creston is an activist in getting stuff done. Secretary | Growth Hacker - The action guy, Keenan is a futurist who lives to see positive things thereby put action forward. Treasure | Designer - has a passion for design/develop and empowering youngsters to follow their path. Community Manager | Data Scientist - This is a young entusiastic Tech lady that loves to work with people. PR Manager | Developer - Project manager for all NCDev initiatives, and loves working with the community. EWB Chairperson | Data Scientist - Aspiring Data Scientist, Chairperson of EWB - SPU , Student Leader (Mentor) Professional Model, Dancer and Aerobat.